The Square planter is a great addition to your balcony, deck or patio. Featuring 11 gauge Cor-Ten steel, each planter is handmade by our craftsmen in Texas. 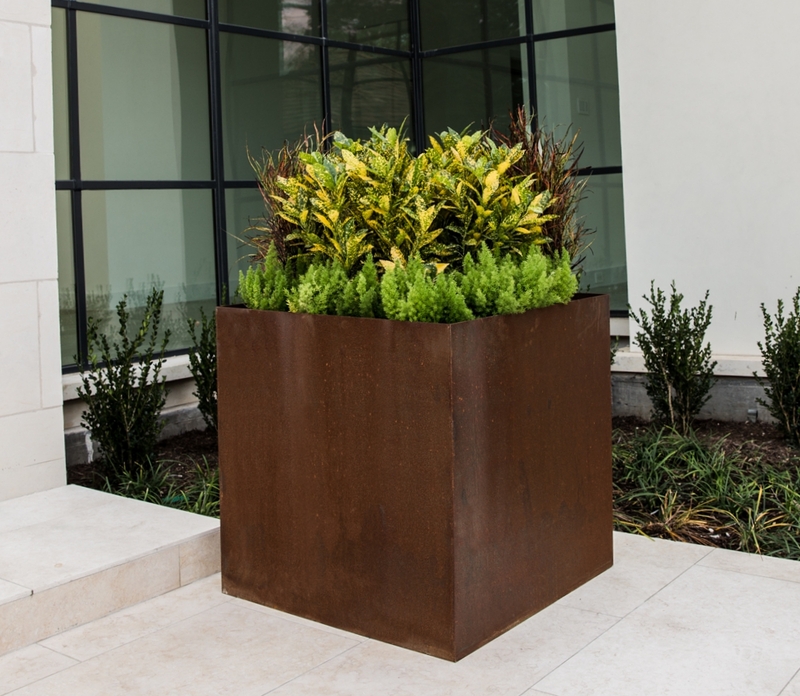 This modern, simple, square design is able to withstand most climates and will not bow, buckle, or oil can like other thinner gauge Cor-Ten planters. All of our planters are available with or without drain holes, irrigation line holes or casters. On our larger size planters, you have the option of a false bottom in order to lessen the amount of soil needed in the planter.